We’re all familiar with the basics of insurance. 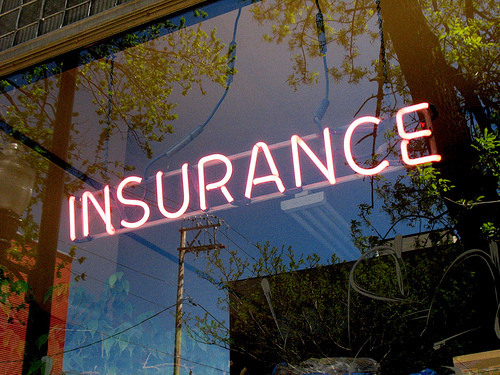 You probably have health, auto and homeowner’s or renter’s insurance policies already. You may even have life insurance in case something happens to you or your spouse. But these aren’t the only things a comprehensive insurance policy can protect. Let’s take a look at some unique policies and why you might consider investing in them. This might sound a little excessive, but some celebrities have purchased insurance policies for their various body parts. Dolly Parton, for example, has insured her iconic breasts for $300,000 each. Taylor Swift’s legs are insured for $25.6 million, and Miley Cyrus and Gene Simmons’ tongues are each insured for $1 million. This practice isn’t a new one; celebrities have been protecting their defining features since the 1940s. In most of these cases it’s not even the celebrities who are paying the premiums — instead, somebody is sponsoring them. On average, marriages in the United States cost more than $25,000. That’s a lot of money to lose if something goes wrong or the event gets canceled. Thankfully, there’s an insurance policy for that. Wedding insurance can help reimburse costs for things that happen beyond your control — like lost luggage, a missing limo or a dress damaged in shipment. Depending on the details of the policy, it may even help you if the wedding gets called off at the last minute. If multiple births run in your family, or you’re considering fertility treatments to help you conceive, consider multiple birth insurance. Traditional health or prenatal insurance is sufficient to cover the costs of a single birth, but when you’re carrying more than one baby, your current policy might not be enough. Twins and triplets are often born early, leading to higher costs that might not fall under your current coverage. You’ll have to sign up early — before the 11th week of your pregnancy — but this policy could save you a lot of money in the long run. Wildfires are becoming more common every year, and their results can be devastating. Homeowners insurance will cover the cost of repairing or rebuilding your home and replacing your belongings, but those policies won’t do anything to help you protect your home from these natural disasters. A fire mitigation policy can give you the tools you need to protect your home and property. They’ll come to you, inspect the area and help you fix any vulnerabilities that they identify. This policy isn’t foolproof, but taking these steps can make it easier to protect your property from devastating disasters. This insurance policy is for business owners. How many times have you tossed a couple of bucks into the office lottery pool? You spend time talking around the water cooler, discussing what you’d do with your portion if they ever call your numbers, but you never expect to win. What happens to your employer if you do win the jackpot, and you and all of your co-conspirators quit on the spot? Lottery insurance for business owners protects them from just such a possibility. This policy offers reimbursement for lost productivity and the cost of hiring new employees. If you travel a lot, especially to countries where the political climate is more volatile than it is at home, kidnapping and ransom insurance might be something you should consider. It’s usually marketed to high-profile individuals and businesspeople, but tourists, journalists and aid workers can all benefit from this policy. K&R coverage protects you by paying your ransom if you’re ever kidnapped while traveling, either domestically or internationally. Identity theft is a growing problem, and if someone steals your Social Security Number (SSN), it can cost you thousands of dollars to repair your credit. Most major insurance companies will offer this policy as an add-on to your standard insurance coverage, protecting you from lost wages, notary fees and other costs associated with recovering your identity. This insurance doesn’t cost much — usually between $25 and $60 a year on top of your property insurance costs — but it can save you hundreds or thousands of dollars if someone does get ahold of your SSN. A cricket player from Australia named Merv Hughes insured his mustache for $370,000 — and 40 men who were particularly proud of their lip ferret and members of a local mustache club insured their beards against fire and theft. We want to know how they expected someone to steal their beards. Determining the right insurance is based entirely on your needs and personal choices. You might not need to insure your mustache or your body parts, but most of the other policies on this list should be on your might-need-to-invest-in list.